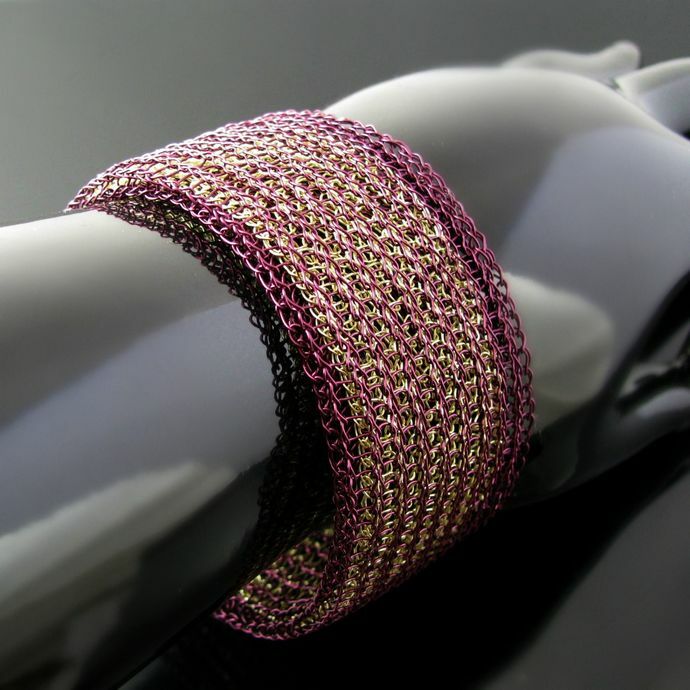 This elegant bracelet knitted from wire with a crochet hook is made up of two parts. 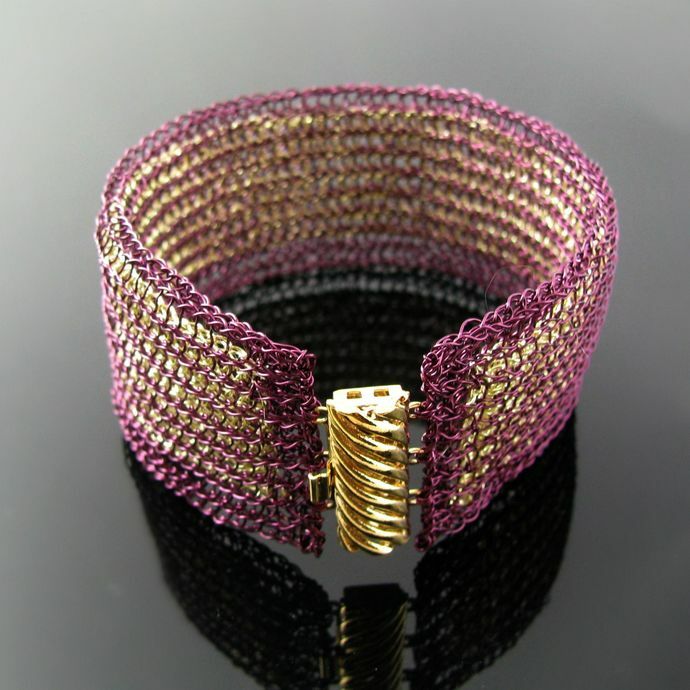 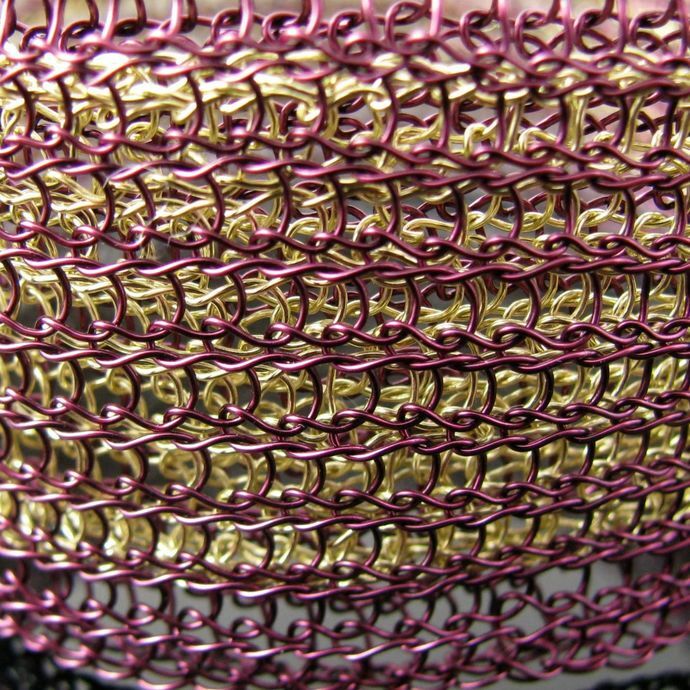 I knitted two double layer strips from colored copper wire, a wider one in a beautiful dark violet and a slimmer one in light gold. 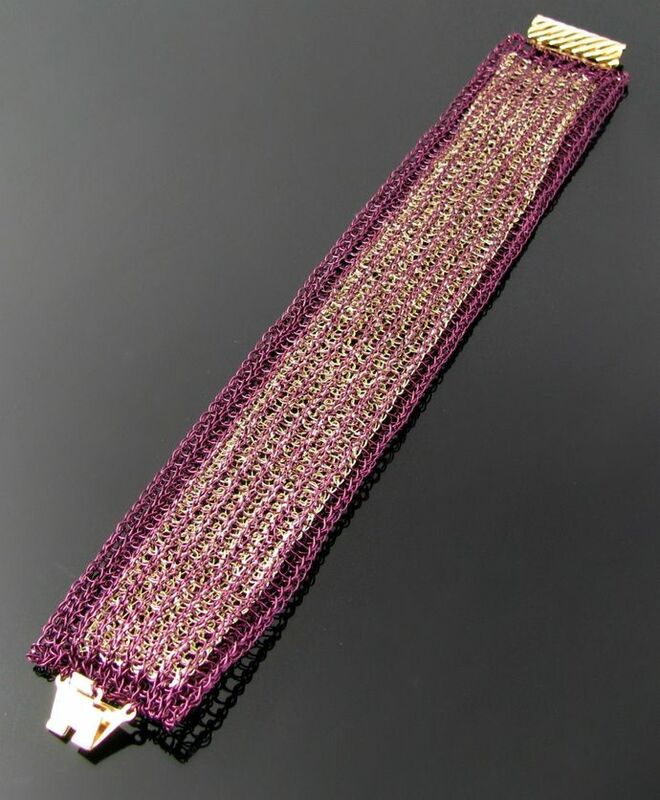 Then I put the golden strip into the violet one and attached them to each other on both ends for a stunning effect. 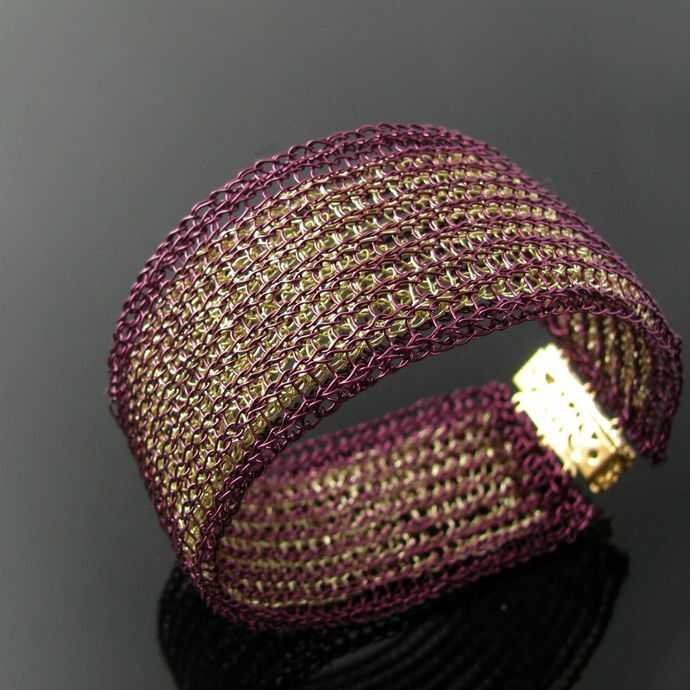 The bracelet is 19.5 cm or 7 2/3 inch long and 3 cm or 1 1/4 inch wide. 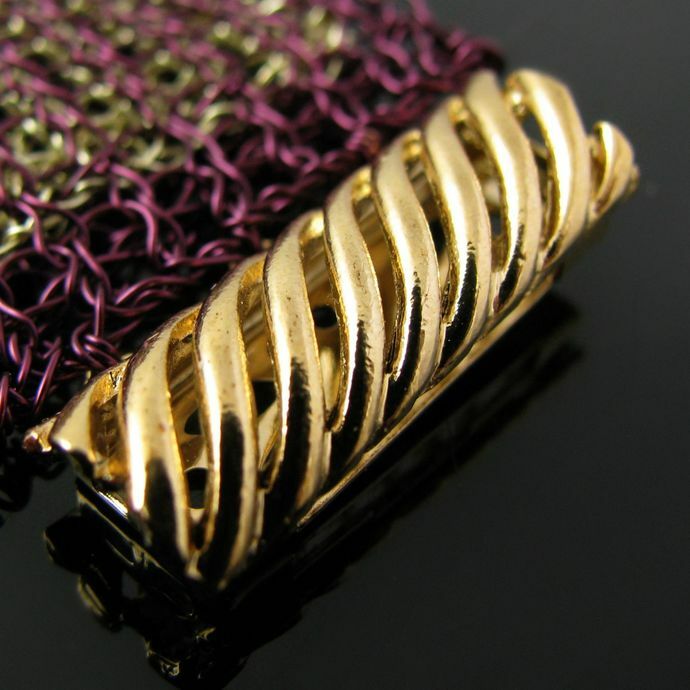 It closes with a high quality German gold tone metal clasp.